I used some hex paper that I got last Gencon for this map. 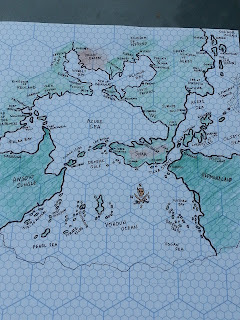 Let me tell you, there is nothing more satisfyingly nostalgic for a Greyhawk fan than drawing a map on hex paper. I suggest trying it some time. Anyhow, I went and used the crappy colored map from the Living Greyhawk Gazetteer as my example for scale (1 hex=65 miles, why?!). Then I noticed it. This map has been out since when? 2000? But I just now noticed 13 years later that this map, alone of all published maps I'm aware of, has hexes that run left-right instead of north-south. Curses on that map! Anyhoo, a little dab of colored pencil for effect and tada, my results turned out good despite the crooked hex scheme. Another thing that irks me about the LGG map is the inaccuracy of the coastlines but hey, for a nautical chart I wasn't put off by that. Most maps of earth back in the days of exploreration were pretty strange, so why not this one? If I get around to it I'll try to scan this map for general download, otherwise enjoy and I'll share more of my Greyhawk handouts later. My spin-off campaigns of the original Sea Princes story arc is progressing quite nicely and I've developed some new material from the game that I wish to share with the Greyhawk community. On Mondays the players have been sailing on the Hideous, a pirate ship of the Crimson Fleet (from Savage Tide) causing havoc and in general doing what they want within the rules of the pirate code. That point is important. Their most recent exploit resulted in the accosting and kidnapping of a jeweler (and his wife) from the town of Naerie in Idee. Unbeknownst to them, a jeweler was really the cover for a retired pirate captain of some fame. Normally this is no big deal, but the trouble with this pirate's capture was he has a "Ward". No this ward is not a foster child and it's certainly not a magical abjuration per se. This Ward is a special tattoo granted to the pirate by a secretive power group called the Fivefold Council. I hinted at this group in my postfest article, The Last Respite. 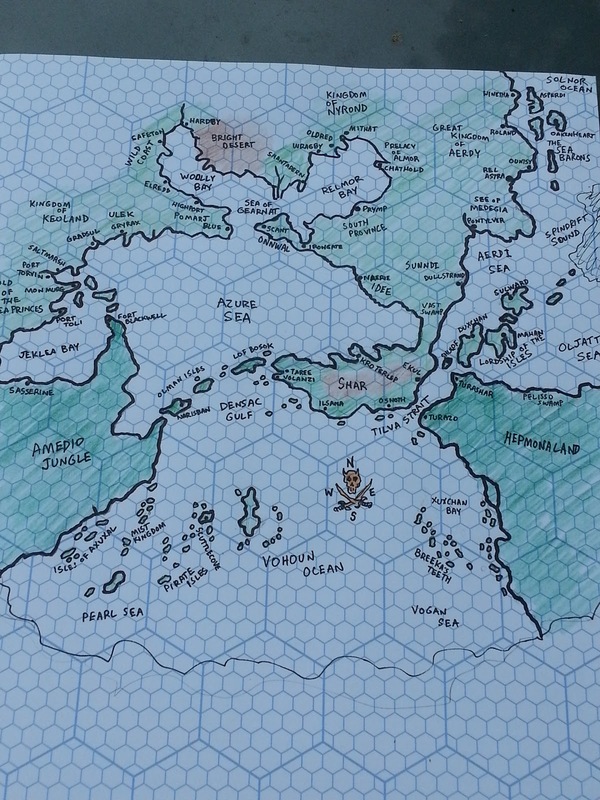 Nearly seven hundred years ago, much of the many seas surrounding the Flanaess was nominally under control of the Kingdom of Keoland and the Great Kingdom of Aerdy. Always at the fringes however, were those who took to the sea to raid ports or plunder vessels of these nations. Though initially successful for a couple hundred years, the disparate groups of pirates were scattered far and wide and surely would have been hunted to extinction long ago if not for their superior skill, careful tenacity and the mysterious rise of a code of honor among their kind. All of these factors sages claim is due to the Fivefold Council. The quasi-mythical Fivefold Council is a cryptic society often spoke of among old sailors and pirates of the Flanaess. They are mainly credited for having created a loose confederation among the early pirate factions, primarily by the introduction of the Pirates' Code, a set of laws that have over time found use in all coastal nations. Over the centuries many of those same pirate groups coalesced into nations in their own right such as the Hold of the Sea Princes and the Lordship of the Isles. Despite the political evolution of these maritime powers, there is still a strict, superstitious respect for the Council's laws though few know much about them or ever see their direct influence in the world. When the Council does deign to act however, news spreads quickly from one sea port to the next. 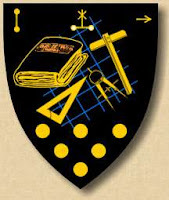 The Fivefold Council is functionally anonymous, reputedly ever-present and apparently has the resources to rival any power group in the Flanaess. There is no permanent meeting place for the Fivefold Council, instead it is assumed they communicate clandestinely by magical means or through well-controlled agents. It is widely believed high ranking clerics and mages connected to the sea pantheons (Osprem, Xerbo, Procan, etc.) work with the Council in such a capacity. No one knows who currently holds the five council positions and any still living who may have once been members cannot possibly know who replaced them either. What is generally known is that the Council perpetuates its membership by a silent selection process wherein a prospective candidate can throw in his bid to join the Council at any time in the hopes a position becomes open. The nature of these bids varies, from fabulous treasure offerings to unique magical gifts or extraordinary favors. Traditionally, these bids are discreetly placed in a chest and loaded onto a small boat or raft where they are set out to sea, never to be seen again. Most of the time aspiring applicants spend many years crafting the right bid, not knowing if it is ever received nor live long enough to know if a spot was ever available. Of those rare souls who are chosen, they are sworn to secrecy upon pain of death to Nerull's Deep. Current members of the council most likely continue to operate in the public eye as their normal roles of ship captains, town governors and so forth. The Council has no real set agenda, lurking quietly for years on end, typically keeping an eye on major events and portents that concern seafaring cultures. When a pivotal matter comes to the full councils' attention it is swiftly met with a Decree. These decrees are issued in a number of ways, but each method is unmistakably the work of the Council; thousands of notes in bottles, flocks of talking birds, one-sheets nailed to masts or plain curse-like effects such as the dreaded Black Spot. How the Council manages to deliver these notices from one side of a sea to another is surely the work of high magic or divine aid. Further complicating the identity and aims of this secret society is the much coveted boon known as the Ward. More frequent than membership bids, these similar donations to the Fivefold Council instead appeal for special protected status among the seafaring factions of the Flanaess. The Ward is the ultimate reward sought by those who make a living by the sea, and is usually only given to those with an impressive nautical career. When the Fivefold Council contacts an individual to bestow the Ward, that person is given the right to bear a Ward tattoo on their body. This mark is non-magical and fairly well known in pirate lore (five skulls in a star pattern around the glyph for water). Attempts to tattoo the mark without consent have always turned out badly for both the recipient and the tattoo artist. A Warded person (and their possessions) is considered untouchable in most all ports that pirates and sailors are found. History has shown that any captain or crew who defiles a Warded pirate will suffer the punishment of the Fivefold Council. The stipulation of the Ward however, is retirement. Taking action to resume their old adventurous life or abuse the protection given by the Council immediately revokes the Ward. Furthermore, the Ward does not protect a person from "landlubbers" who know little of the Council or their ways. For this reason Warded people often conceal the tattoo and take on calm, peaceful lifestyles on the coast. Welcome back Greyhawk fans! Another week gone by and it's time to catch up on page three of the second chapter of the Castle Greyhawk graphic novel. Super scribe Scott Casper as usual provides essential color to the story. Alternatively you can view the first page HERE, courtesy of Maldin's Greyhawk. Artist's Commentary: Page three gave me trouble for some reason. There's angles that I couldn't nail down easily but the finished product is nice. Scott has a keen eye for how his characters should be depicted and I'm thinking Captain Drake will be fun to illustrate in the coming pages. I also had fun drawing the bird whistle. Birds are becoming a theme throughout this comic. I'm still brewing some posts about my home campaigns so in the meantime here is a few links/comments to some good blog post topics I've seen in the RPG community. Joe Bloch of Greyhawk Grognard ponders humanoids and their diversity by location. This is a good subject to consider for any game that utilizes an array of humanoids such as Greyhawk. The Pomarj (detailed by Greyhawk Grognard in Dragon #167) is such a place where geography and a wide variety of humanoid clans mingle in a realistic manner. Joe the Lawyer wants you to stop bitching about Magic Users being the most powerful class (at high levels). I completely agree with his post. Wizards pay their dues by being weak most of their career and should get to enjoy being uber-powerful at the end. At Semper Initiativus Unum, there is some talk that the OSR is getting back into the thief. Huh, I had no idea that class was ever on the outs with the old school set. It's always been my single favorite across all editions. 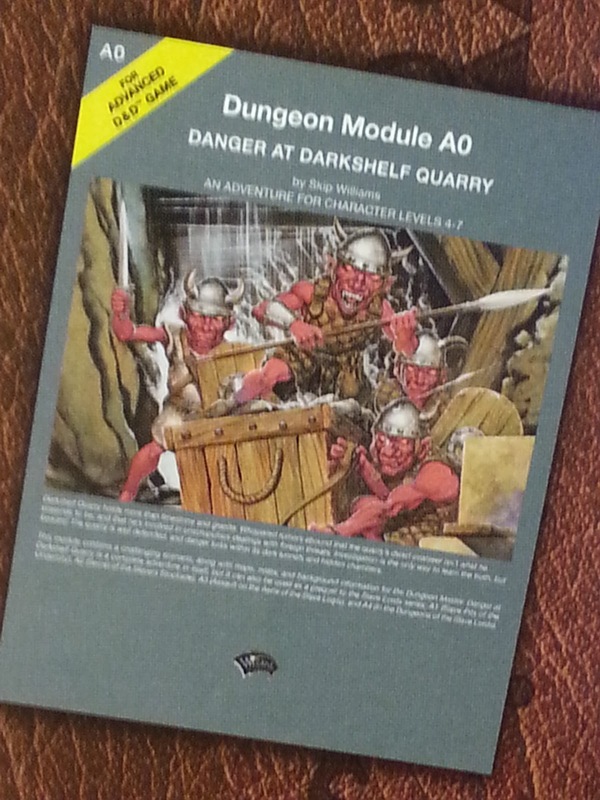 I share Havard's joy at the 30th anniversary of the Red Box D&D Set. 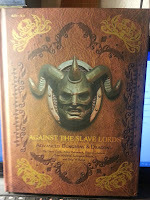 First, Anna Meyer promptly answered my question about Ull for her Greyhawk atlas project. In her blog post she gives a preview of the rough geography of my favorite little corner of the maps. Long ago Anna did do a map for my gazetteer of Ull in Oerth Journal #19 but this one promises to be much better as it will fit in with the overall atlas. It will great seeing how Anna's Dry Steppes and Plains of the Paynims expands outward from Ull. Onward, Wizards has announced the article lineup for Dragon #425 (subscription only). 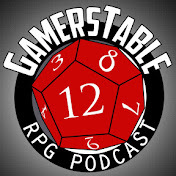 As promised this issue will be mainly about Elemental Evil! I will keep you up to date on any useful Greyhawk information when this comes out. 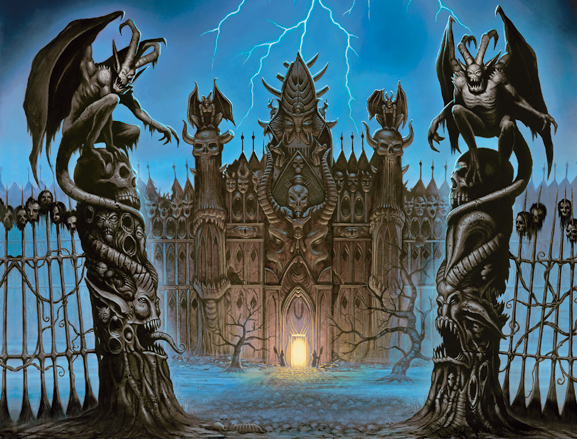 Elemental evil isn’t all we have to offer this month, but it’s a big part. 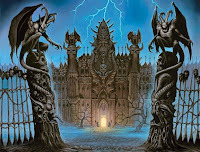 What is the essence of elemental evil? How did simple element worship twist itself into the most dire threat against the land? Legions of heroes have crushed—or been crushed by—the cult of Elemental Evil in its many incarnations. Lastly, if any Greyhawk fans reading this will be at Gencon this year be sure to try and find the Canonfire meetup at the RAM Brewery in downtown Indianapolis. There is no hard dates or times for this informal gathering so drop us a line on the forum or comment here, then stop by some night to talk all things Greyhawk. 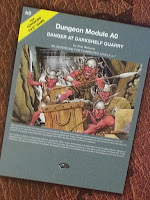 Darkshelf Quarry and More Greyhawk Maps. Howdy Greyhawk mavens! 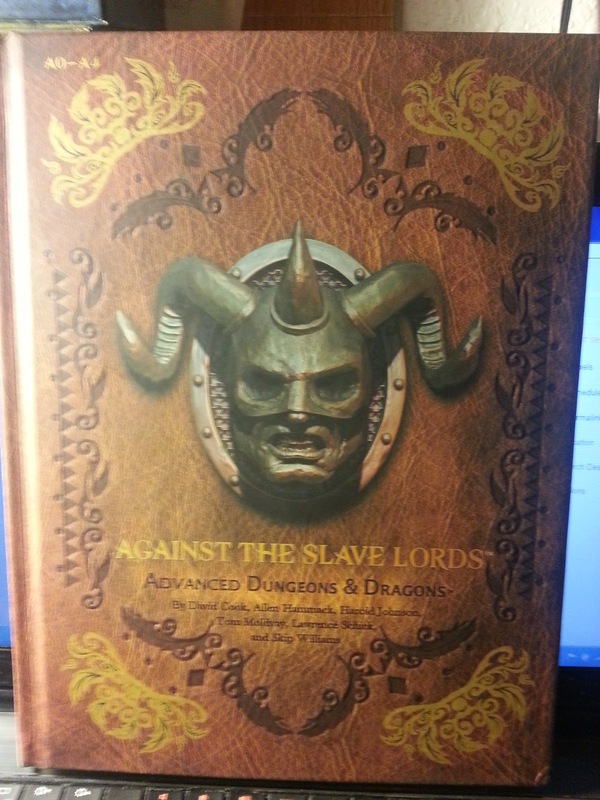 On this hot July day I bring some cool and interesting Greyhawk items. First up is a new post by Anna Meyer from ghmaps.net. She has posted a series of preview maps of the Sea Princes (yay), Sasserine and Cauldron (of Paizohawk), plus the North, Central and Southern verges of the Amedio Jungle. Wow, she has been busy! Get these downloads now, but take heed, these are not her finished products. If you spot any errors be sure to let Anna know on her site or on the maps thread at Canonfire. So yes, there it is. I know I've been gushing about Wizards stuff a lot lately, but darn it this is Greyhawk! And even if it's reprinted content, hey, this book has fan art inside as well. In addition to a small illo by yours truly, there is even better artwork by friends of the community such as Brian "Glad" Thomas, S. Michael Twitchell, Mike Lowe and of course my comic co-conspirator Scott(-enkainen) Casper. "Darkshelf Quarry holds more than limestone and granite. Whispered rumors abound that the quarry's dwarf overseer isn't what he pretends to be, and that he's involved in unscrupulous dealings with foreign threats. Investigation is the only way to learn the truth, but beware! The quarry is well defended, and the danger lurks within its dark tunnels and hidden chambers." For those who are geographically curious, the village and quarry of Darkshelf is located on the coast of the Sea of Gearnat in Nyrond. That's all for now folks. Enjoy! Welcome back Greyhawk readers! Wow, it's already been a week since we released page two of the second chapter of the Castle Greyhawk graphic novel saga. Scott Casper is heading into new territory here so be sure to read his additional exposition. Or you can just view the first page HERE, courtesy of Maldin's Greyhawk. Artist's Commentary: One thing that grates on me about comic books is how most chainmail/plate armor is form fitting to super heroes. My favorite comic, The Mighty Thor is guilty of this often. Once in a while however you get an artist who draws armor that looks realistic on a limited series. I'm not saying my armor illustration is all that accurate either, but I try to make it look like it is has weight or hangs from the body naturally even if it is stylized. More armor is coming our way next page. Stay tuned. Mike Mearls recently posted an article explaining Wizard's approach to D&D's cosmology and how it will fit with D&D Next and previous editions' worlds. You can read this article without a sub, so check it out first. WotC's experiment with a streamlined 4th Edition compatible universe was nice in many respects, but they tried too much to ditch elements of older settings that they thought were not worth carrying over. Now I am happy to see they're backpedalling (a little) on the cosmological changes they made and are even acknowledging areas ignored up till now. The elemental planes get a hybrid treatment. Looks good. "the elemental planes will be divided into three basic rings that surround the prime material plane. The innermost ring consists of the border elemental planes. These regions are like the regular world dominated by a specific element. The border plane of fire is a land of ash deserts, billowing volcanoes, and lakes of lava. The next ring out consists of the deep elemental planes, which are areas of pure, elemental energy much as the elemental planes were portrayed in the Planescape material. Finally, the outermost ring is the elemental chaos, a region of pure, fundamental elemental energy." Wizards put a lot of energy into their 4e vision of Feywild and Shadowfell to retract it. Personally I never used these areas much in my extra-planar adventures and it seems Ravenloft gets to stay put, the poor place having been retconned so much the last couple editions. "we're treating the Feywild as a similar border plane between the positive energy plane and the prime material. The dreaded domains of Ravenloft are its opposite number, between the negative energy plane and the prime. Elements of the Shadowfell can become domains within Ravenloft." Planescape fans can rejoice as their favorite setting gets a second chance. "When it comes to the outer planes, we're treating Planescape as our default assumption. It's a much-beloved setting and one that's fairly easy (by design) to integrate into existing campaigns. That means the return of the Great Wheel, the Blood War, and other classic elements of the D&D cosmos." "The biggest setting change we're looking at concerns Spelljammer. In the past, it incorporated all of D&D's settings as places you could visit. I'm not sure that's the strongest selling point of the setting. In my mind, Spelljammer was an interesting exercise in placing D&D in space. Adding in Faerûn, Oerth, and other worlds muddied its initial vision. It also says stuff about settings that might be fairly jarring given a world's flavor and feel. Not everyone wants the equivalent of spaceships in their campaign, so I think that when we talk about Spelljammer as it relates to other settings, we're going to focus on it as its own setting and downplay its role as the connecting tether between various D&D Next worlds." So yes, Mearls and company want the planes in "5E" to work well with any setting you play. This is a smart move in my opinion and though the workings of the planes matter little in a casual Greyhawk campaign, this article and many others, plus every action Wizards has taken in the last year from reprints to re-releasing PDFs, shows that they are respecting prior material more this time around.